Share price and investment return will fluctuate such that an investor’s shares may be worth more or less than their original cost upon redemption. Past performance data quoted represents past performance and does not guarantee future success. *Past performance is not indicative of future results. Current performance may be lower or higher than quarterly performance. For current, to the most recent month end, performance please go to www.boyarassetmanagement.com. The Boyar Value Fund has a maximum sales charge of 5.00%. After-tax returns are calculated using the highest historical individual federal income tax rate and do not reflect the additional impact of state and local taxes. Actual after-tax returns depend on a shareholder’s tax situation and may differ from those shown. After-tax returns are not relevant for shareholders who hold fund shares in tax-deferred accounts or to shares held by non-taxable entities. It is important to note that the Fund is currently waiving a portion of fees and at such time as the fee waiver is no longer in place, future returns may be lower than past returns. The S&P 500 Index is an unmanaged index of stocks trading in the United States. Index performance illustrated is hypothetical and is not indicative of any mutual fund investment. Investors cannot invest in an index. The value of the portfolio will fluctuate as the underlying securities move in response to overall market movements and other factors beyond the control of the advisor, and investments in the fund may result in the loss of principal. The fund may invest in stocks of several different capitalization levels and it is important to note that historically, small- and mid-cap stocks have experienced greater volatility than stocks of larger, more established companies. The Lipper ratings are subject to change every month and are based on an equal-weighted average of percentile ranks for the Tax Efficiency metrics over three-, five-, and ten-year periods (if applicable). 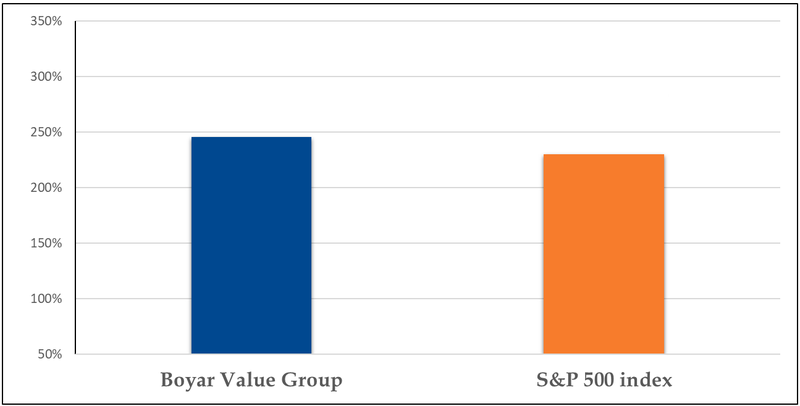 The highest 20% of funds in each peer group are named Lipper Leaders, the next 20% receive a score of 4, the middle 20% are scored 3, the next 20% are scored 2, and the lowest 20% are scored 1. Lipper Leader ratings are not intended to predict future results and Lipper does not guarantee the accuracy of this information. Lipper ratings for Tax Efficiency reflect a fund’s historical success in postponing taxable distributions relative to peers, as of 9/30/2012. Tax Efficiency offers no benefit to investors in tax-sheltered accounts such as 401(k) plans. More information is available at www.lipperleaders.com.